There are numerous technologies and methods for dealing with tooth loss. However, none are as advanced as dental implants. While dentures and bridges address the fundamental problem, which is a missing tooth, they do nothing to brace the tooth or to address the root of the problem. This means that these solutions have to be adhered to the surface of the mouth somehow, typically with wires or dental cement. On the other hand, dental implants focus their attention on the root. 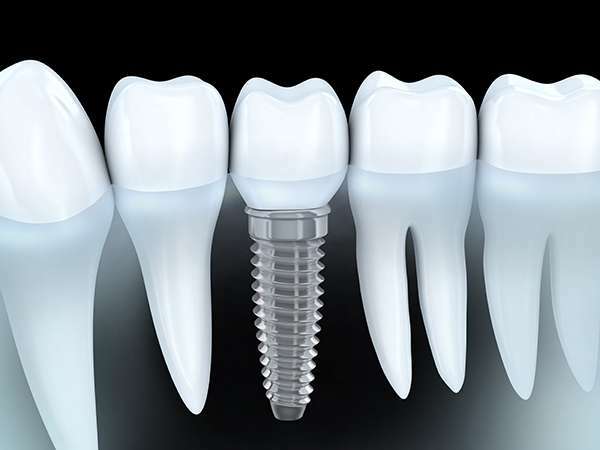 In fact, a dental implant is a tiny titanium screw that is placed into the jawbone, taking the place of a natural tooth's root. This provides a strong and stable platform under the gum line, which then allows us to place a dental crown, or tooth, on top of the abutment.